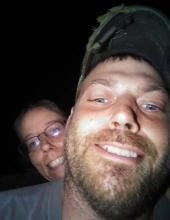 Darren L. Stumeier age 39 passed away Saturday, February 16, 2019 at his home. Graveside services will be held at 2:00 p.m., Friday, February 22, 2019 at the Oak Ridge Cemetery, Effingham, Illinois. Memorials may be directed to the Crain Funeral Home, Newton, Illinois to aid with funeral expenses. Darren was born on September 9, 1979 in Effingham, Illinois the son of Rick L. and Debra S. (Schwabe) Stumeier. He married Jennifer J. Werner and she survives. Darren owned and operated Stumeier Cycle. He was a diehard motorcycle lover from a young age, enjoying riding and repairing cycles and four wheelers. He loved camping, riding four wheelers, and being a Pa Pa to his sweet granddaughters. Darren will be loved and remembered by his wife Jennifer Stumeier of Newton, parents Rick and Deb Stumeier of Effingham; grandmother Phyllis Stumeier-Roop and husband Rick of Effingham; son Lane of Effingham; daughter Justice of Newton; granddaughters Aleeciona and Stella; brother Derick and wife Danielle of Dieterich and their children Kopelyn and Maiverie. His grandfather John Stumeier and grandparents Keith and Janice Schwabe preceded him in death. To plant a tree in memory of Darren L. Stumeier, please visit our Tribute Store. "Email Address" would like to share the life celebration of Darren L. Stumeier. Click on the "link" to go to share a favorite memory or leave a condolence message for the family.